What is a Bounce Rate? Why Should You Care? In this blog we will walk through bounce rates with a focus on optimizing for conversions. You’ll learn the questions that will help you better understand why people leave your site quickly as well as the powerful business benefits of reducing your bounce rate. Google Analytics defines bounce rate as the percentage of single-page visits where the person left the site without doing any other interaction. It is a measure of the percentage of people who land on your website and fail to do anything else such as click on a menu item, or follow any internal links leading to other pages on your site. What we can get from this is that the visitor was not interested because they either did not find what they were looking for, there were technical issues like error messages and slow loading of the page, or that the site is not user-friendly or professional-looking. All of these things can be a contributor to bounce rate being high. A high bounce rate for an eCommerce site means that you get fewer conversions. 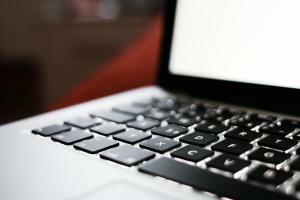 We don't often get to talk about websites and web design on the Stikky Media blog. These subjects are covered on the North Studio blog (which I also manage and write for). 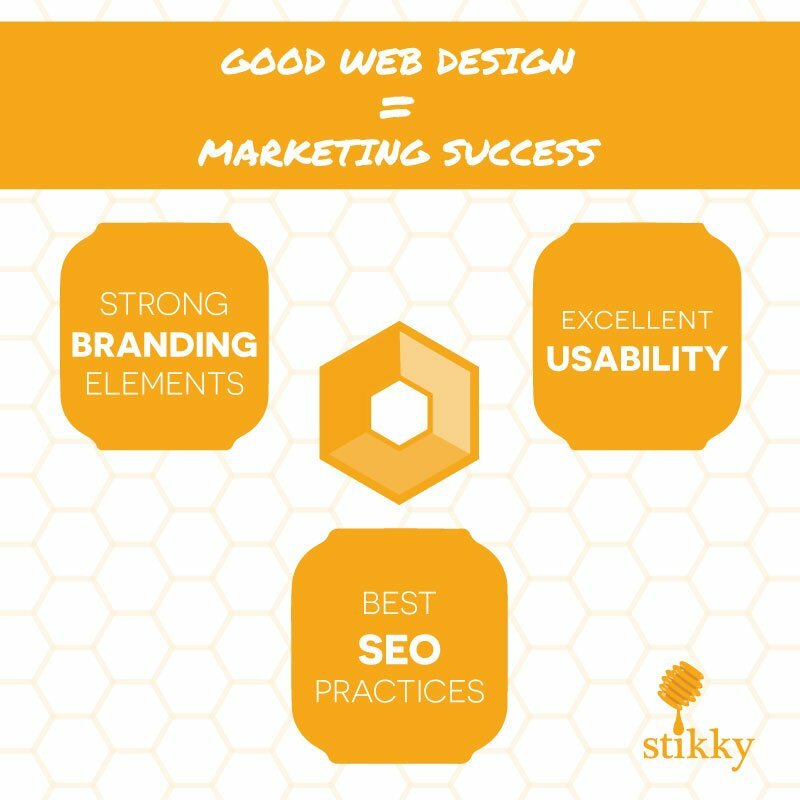 But the other day I was having a discussion with Marcus, our digital marketer, about the link between good web design and successful online marketing. In fact, few people realize how much your website influences your marketing results, especially when it comes to SEO. Good website design is about more than slick interfaces, trendy logos and intuitive menus. Good website design is about having compliant code, no navigation errors and many other backend technical issues that few people outside of developers get to think about. In general, we recommend to each of our marketing clients to get a professionally designed website if they don't already have one. This is because we know that effective online marketing campaigns depend on strong branding, good website usability and best SEO practices, among others. Let's have a look at some of these elements in more detail. Branding is at the heart of your website. Who's your audience? What message do you want them to hear? What emotions do you want them to feel? All of this can be transmitted through your website design. When your website branding is strong, it's easy to follow suit with an excellent online marketing campaign that uses these branding elements. Since the goal of an online marketing campaign is to bring people to your website, you want a seamless experience between the promotion online and the website visit. If you lack strong branding elements on your website, your visitors are more likely to bounce away. Web usability is an essential component of web design. Good usability ensures longer stays, deeper engagement and helps with conversion. If you've ever visited a very bad site, you know what I mean when I say that most people have no desire to interact with an unusable website. It's important to provide a pleasant browsing experience to those who click through your marketing campaign links. Visitors base their first impression of your business on the first few seconds they spend on your website. Do you want to lose them because of bad usability? SEO is a complex topic that deserves several thousand words of content (just look at SEO-specialized blogs, books and webinars). However, we can explain why a good website is helpful for SEO in much fewer words. The thing you need to know is that SEO is not exclusively based on keywords present in your website's content. Things like uneditable homepages, 404 errors, image indexing issues and the absence of a site map or a robots.txt file can affect your Google rankings. (Look at Search Engine Land's SEO Periodic Table for a full description of all SEO factors, on-page and off-page.) Professionally designed websites, however, are built on SEO-friendly platforms like WordPress or Drupal and avoid many of these errors. Of course, other things can make or break your SEO that have nothing to do with your website backend. Things like keyword stuffing, too many ads and ineffective use of tags and headings can also affect your rankings. But with a good website, you can at least stop worrying about a few SEO ranking factors. If you want to understand this from another point of view, Ryan Holmes of Hootsuite wrote this article on LinkedIn about how design can make or break your business. I won't lie to you and say that all self-built websites are bad. Some people are tech-savvy enough to build a nice website with the help of good themes and a little bit of experimentation. I also won't lie about how using a free website builder like Wix or Weebly for your business website is probably a bad idea. Aside from the things mentioned above, these websites don't really have what it takes to promote a strong brand, good web usability or proper SEO. Yes, website development can be expensive. But these days, your online presence is the first thing most people will come in contact with when they reach out to your business. Do you really want to leave that first impression up to amateurs? Remember that you have about two seconds to impress your visitors–a bad website is enough to have them go to your competitor's instead. It's a little bit like plumbing: if all you have a leaky faucet, you can probably repair it yourself. But when a pipe bursts in your basement, you're pretty much screwed unless you call a professional. A self-built personal website or blog is fine, since the audience is probably just your family and friends; however, a business website is a whole another deal. All of these things work together to make your website attractive at first glance. Having a well-designed website is a good first step, but it's not everything. You must also make sure to have great content (ideally planned through a strategy developed at the same time as your web design) that properly informs your customers about your product or services. But since this post is about professional web design, we won't dig into the content aspect here. We love professional website designs because we know they're an effective marketing tool all by themselves. You can check our portfolio to see our clients; most of them have also had their websites redesigned by North Studio while we were working on their online marketing campaigns. If you're a business owner, do you feel strongly about good web design or do you think it's not as important as I think? If you're a consumer, how do you react to amateur business websites? To professional ones? The Target Corporation released a beta website this week called Target Awesome Shop. This website is just that –awesome – with its stunning images and ease of navigation. The website is run by Pinterest, displaying the most popular items of that day. This makes for an easy way to find the deals and best value. An image-friendly, easy-to-navigate website is what people want this holiday season. Many customers are turning to the internet to research the products they are interested in, and more often than not, to purchase these products online if the option is available. You may have to spend a little in shipping fees, it does save you the gas to the store and the stressful rushing around from shop to shop looking for that specific item. While I prefer the great cardio burn from going to the mall, I cannot disagree with the tack the online component of Target stores is taking. ECommerce is becoming more popular for everyday shopping and it’s the visuals that are making this possible. Target may be a multi-million dollar business with many resources on hand, but that doesn’t mean there aren’t reasonable ways to share images to get people excited about your product or service. Create a Pinterest account. Curate your products and create boards with themes. Display items to show why it would be worth it to buy two or three of your products rather than one (Ex. An image that shows just how useful the case is to hold those top of the line drawing pencils). Create an Instagram account. Use photos and video clips to show the product/service in use. Utilise Twitter and Facebook to create special online promotions (Ex. free shipping on a $25 item if you share this link on your page and get 150 likes). Post how-to videos on your website so people can easily see how the product works. Have easy, understandable landing pages for purchasing. One thing to remember about the social websites is to make sure they link back to your website where the customer can purchase the product. Incorporate your URL in posts often and create hashtags that include your company name. 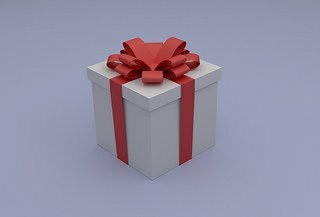 It’s the season of giving so give customers a reason to give your product! Using social networks for promoting your brand online is the new standard, but along with every new opportunity social media marketing presents us, comes new risks and questions. Apple just announced pre-orders of its iPhone 4S have topped one million in a single day, the most for any new product that Apple has ever launched. And they’re expecting to sell more than 100 million iPhones in 2012 alone, not to mention 69 million iPads. That’s a whole lotta mobile, and it doesn’t even include the heaps of non-Apple smartphones and tablets floating around the world. Ever gone to a foreign country and felt totally overwhelmed by the language barrier? Probably. Now imagine the foreign country is your workplace, and the language is Drupal. I’ve always thought of myself as somewhat of a technologically-savvy person—not in the I’ll-build-you-a-website-from-scratch sense—but if I don’t understand a tech term, I usually recognize it, or gather its definition from context. The Gigya Socialize module for the Drupal Content Management System has just been released in BETA. Gigya is a widget distribution network that provides all kinds of useful widgets for Social integration as well as tools for widget developers. Gigya Socialize is a widget developed to allow users to connect, share, and promote via different social media websites. The Gigya Socialize module for Drupal provides an API aggregate authentication and social API’s from a number of different Social Media platforms.